This week I had the pleasure of attending the much heralded private premiere of Avenue 5, a sleek new Bankers Hill restaurant, featuring a seasonal menu of French-inspired American cuisine. Amidst a sea of San Diego luminaries, Chef & Proprietor Colin MacLaggan and General Manager Nicolas Carbonne treated guests to complimentary drinks and appetizer tastes. I sampled the following items while enjoying a live performance by members of the San Diego based B-Side Players. 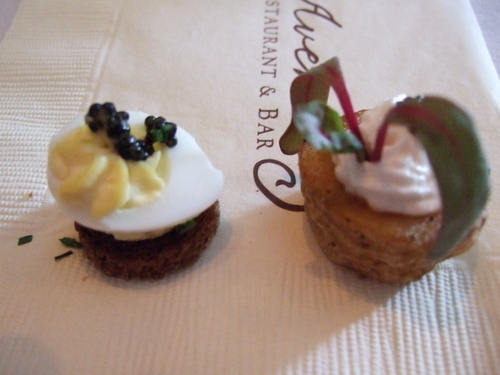 Deviled Quail Egg with Caviar on Roasted Pumpernickel Round, and Fingerling Potato Stuffed with Creme Fraiche. 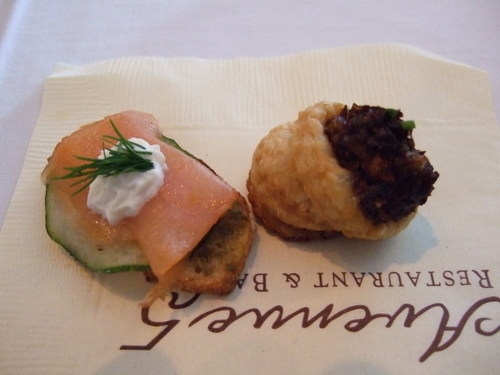 Smoked Salmon on Toast Point with Cucumber and Dill, and Duxelles in Puff Pastry Shell. 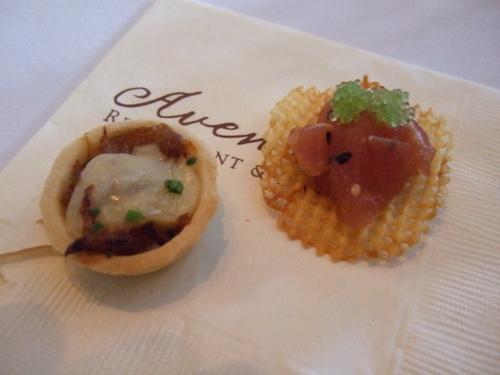 Caramelized Onion Tart with Gruyere Cheese and Chives, and Marinated Ahi Tuna Tartare with Wasabi Roe on Waffle Chip. 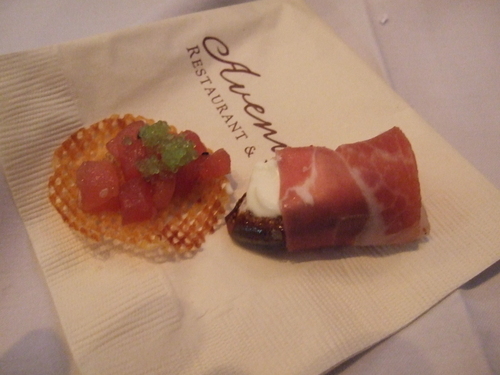 Roasted Fig and Sweet Cream Wrapped in Prosciutto, and once again, The Ahi Tartare. 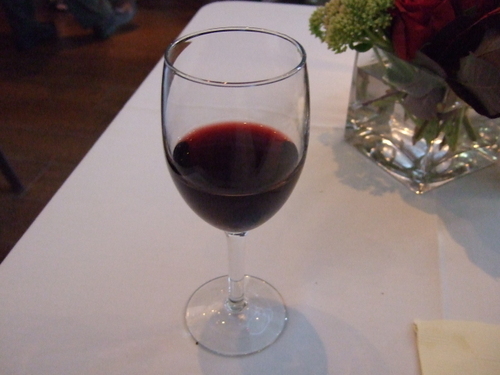 Everything that came out of the kitchen was a paradigm of elegant simplicity. It's clear that Chef MacLaggan paid close attention to the flavor interaction of his chosen ingredients. If this preview is any portent of what we have to look forward to from the full menu, Avenue 5 will provide a sumptuous fine dining experience. You were there?! So were we! I wish we could have met up! hello friends, I really like this post, the event is one of my characteristics, I like to discuss such events, is a very extensive and good, I like to get updates of this post, thanks!